Did you know that many children are using too much toothpaste to brush their teeth? 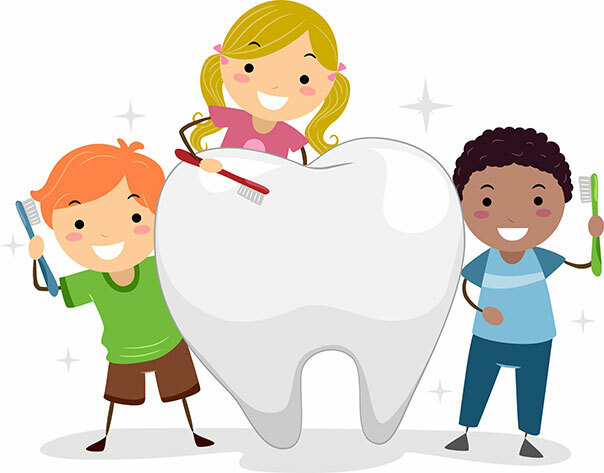 The American Dental Association (ADA) recommends that children under the age of three use an amount of toothpaste equal to the size of a grain of rice. For children ages 3 to 6 the ADA recommends that an amount of toothpaste equal to the size of a pea be used. A toothbrush specifically designed for children should be used. It is advised that toothpaste containing topical fluoride be used to strengthen teeth and help prevent cavities, however the swallowing of topical fluoride contained in toothpaste can affect the color of developing teeth that have not yet emerged from the gums. Toothpaste that contains fluoride has a larger amount of fluoride than fluoridated water. Parents should always ensure that their children are not swallowing toothpaste or the foamy mixture from brushing with toothpaste. It is recommended that children brush both in the morning and evening. 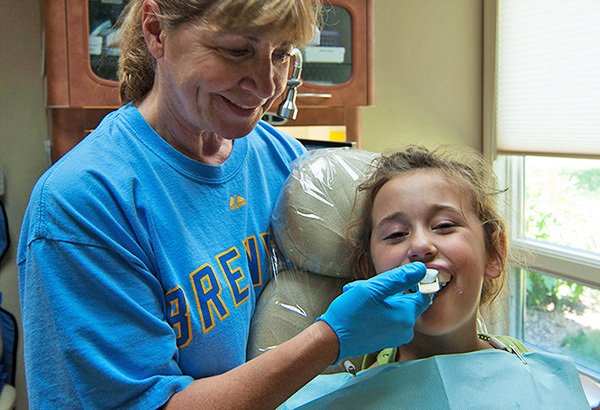 If you have any questions about brushing your children’s teeth don’t hesitate to ask the friendly staff at Door County Dental Care. Congratulations to our latest coloring contest winner! Winners receive a DVD and popcorn bowl. 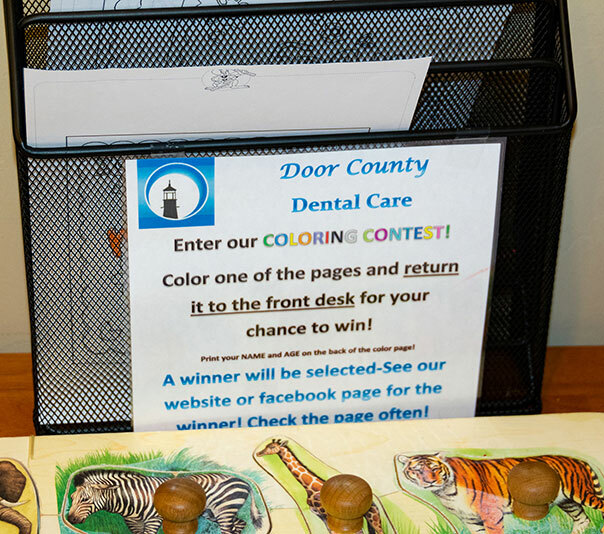 Kids don’t forget to enter the contest when you’re in the office for your next appointment. 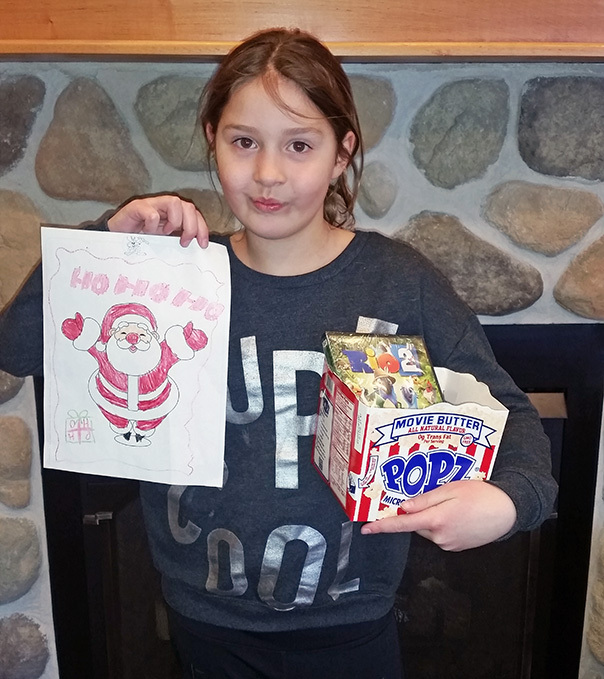 Our most recent coloring contest winner received a DVD of “Back to the Future” and a popcorn bowl. Kids – next time you come in make sure to submit your entry to our coloring contest for your chance to win! 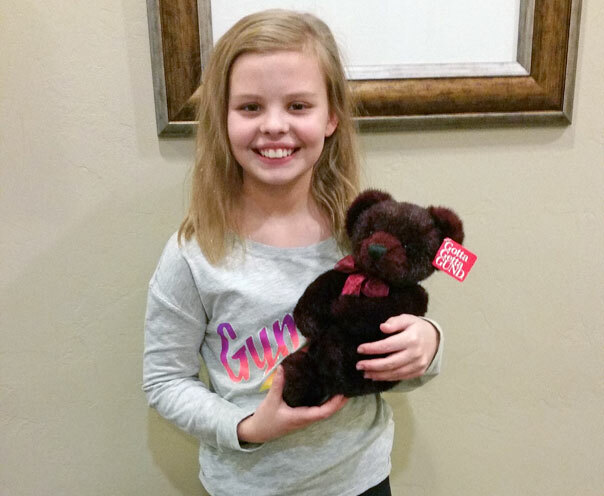 Congratulations to our most recent stuffed animal winner! Kids – enter for your chance to win during your next visit. 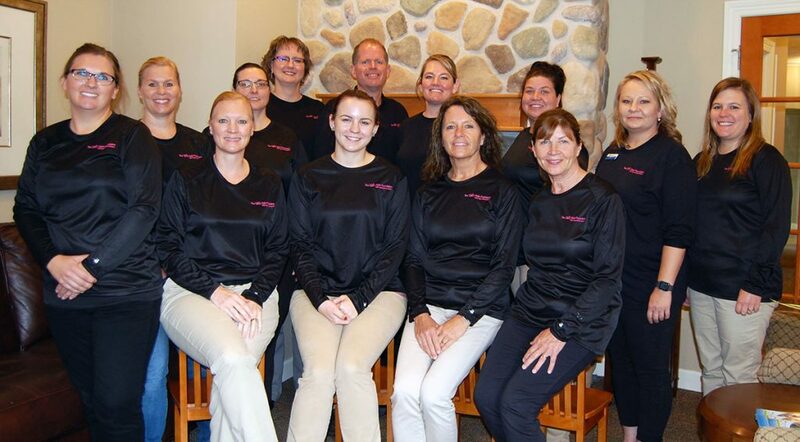 The Door County Dental Care staff looking svelte with a splash of pink in their Ellie Helm Foundation long sleeve t-shirts. 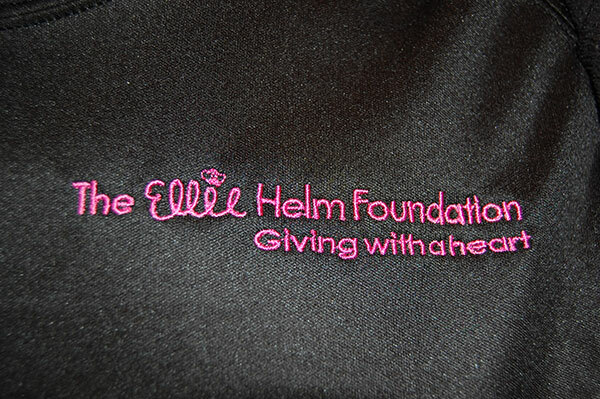 To learn more about the foundation and get involved visit the website. Over 150 Pounds of Candy Donated! 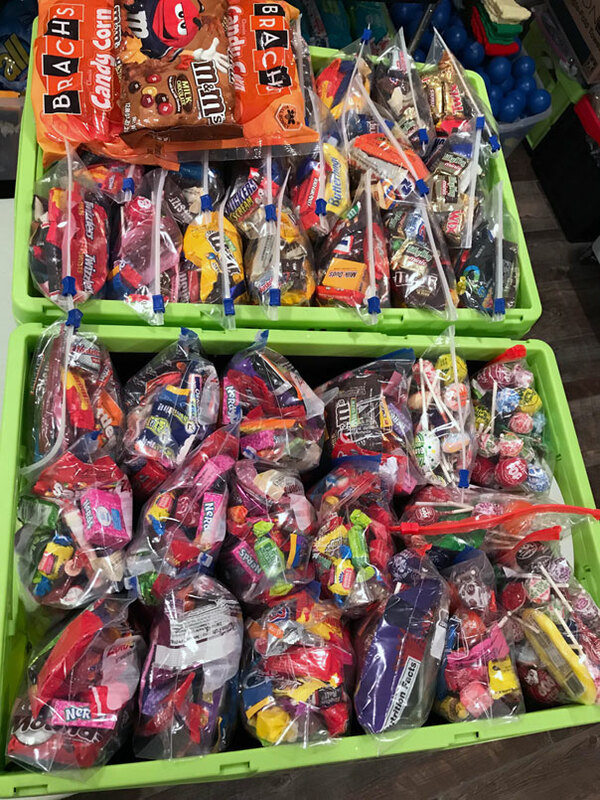 2018 Halloween Candy Buyback Results! 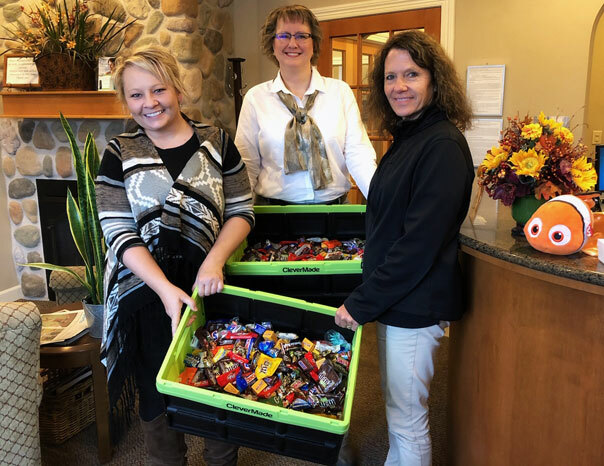 We are excited to report that we bought back 150 pounds of Halloween candy this year which is the most candy we have ever collected in the history of the Door County Dental Care Halloween candy buyback. 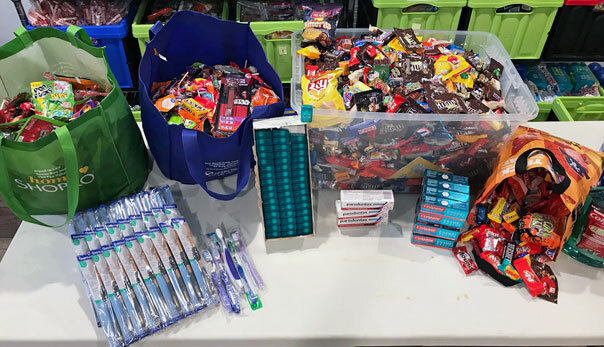 A great big thank you to all of the kids in our community who made the decision to save their teeth and forgo some of their excess Halloween candy in order to donate it to our local troops. We very nearly doubled our goal of 80 pounds and beat last year’s collection by 45 pounds! Nancy Hutchinson from Adopt a Soldier spearheaded the Thanksgiving care package organization (which also included some floss, toothbrushes, and toothpaste for good measure). 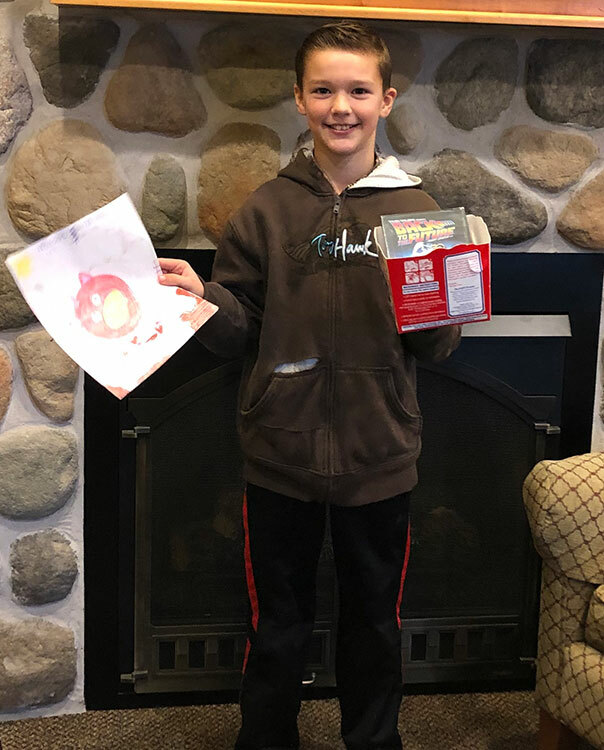 The 93 care packages will go to Door and Kewaunee County troops stationed stateside and overseas and includes plenty of candy to share with their fellow troops. Looking forward to seeing what next year’s buyback brings. 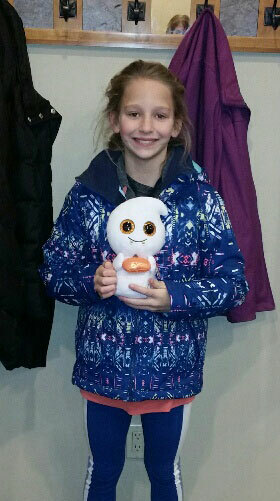 Congratulations to our most recent stuff animal winner Danica. Kids don’t forget to enter our stuffed animal drawing when you are in the office. It could be your lucky day! The fall season has arrived and that means Halloween is practically here. Trick or treating is just a few weeks away and that means a major candy influx for kids. 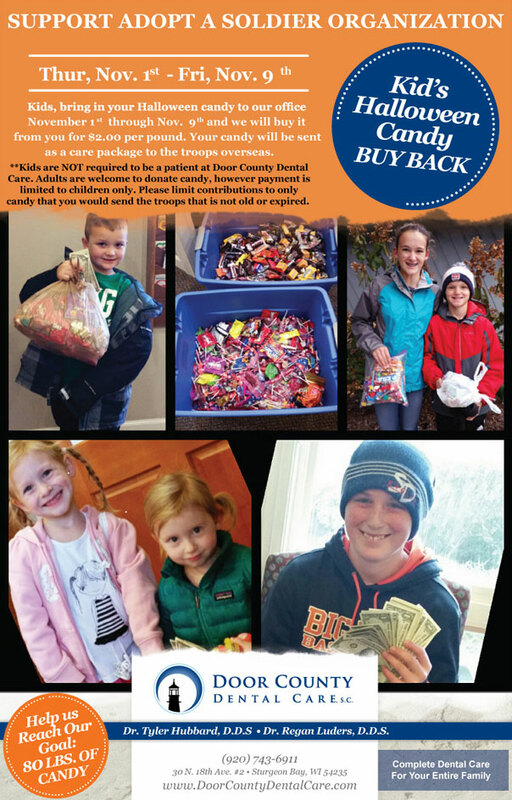 Every year Door County Dental Care holds the Halloween Candy Buyback in order to offer a fun and healthy candy alternative for kids. 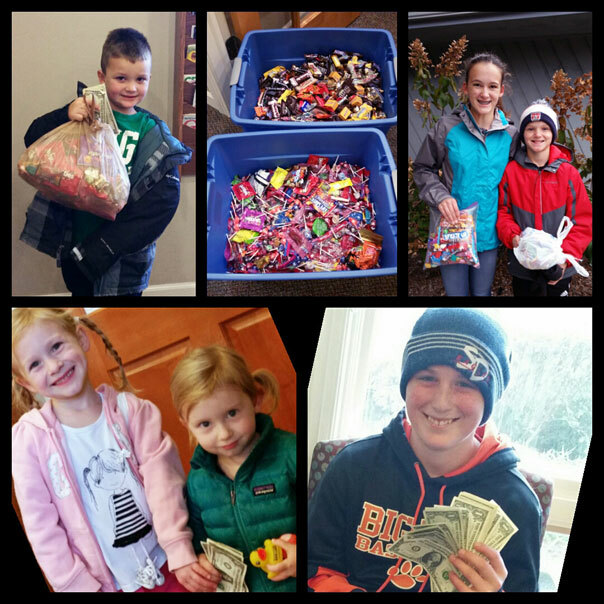 Between Thursday November 1st and Friday November 9th kids can bring in their Halloween candy to Door County Dental Care and get paid $2 for every pound they contribute. All the trick or treating candy from kids is then collected and sent to our troops overseas as a care package through the Adopt a Soldier program. Our goal every year is to surpass last year’s collection. The 2017 Halloween Candy Buyback brought over 105 pounds of candy that we were able to send to our troops. **Kids are NOT required to be a patient at Door County Dental Care. Adults are welcome to donate candy, however payment is limited to children only. Please limit contributions to only candy that you would send the troops that is not old or expired. 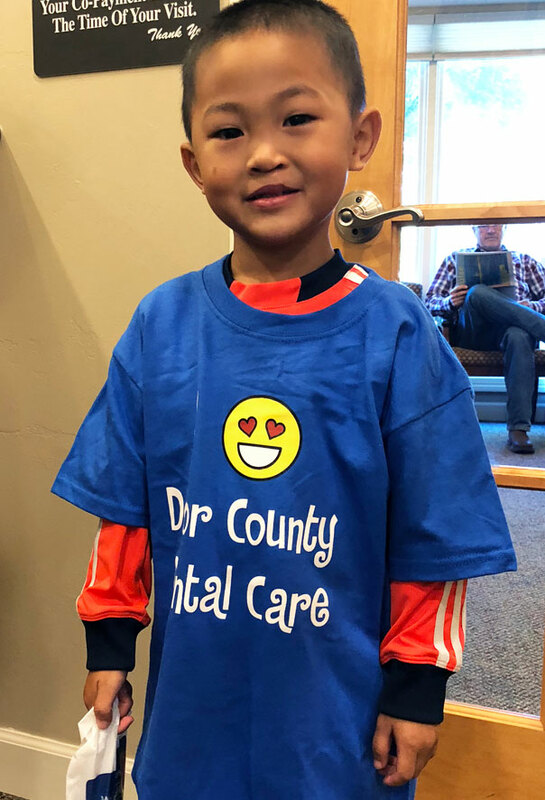 Good Patient T-Shirt Winners! 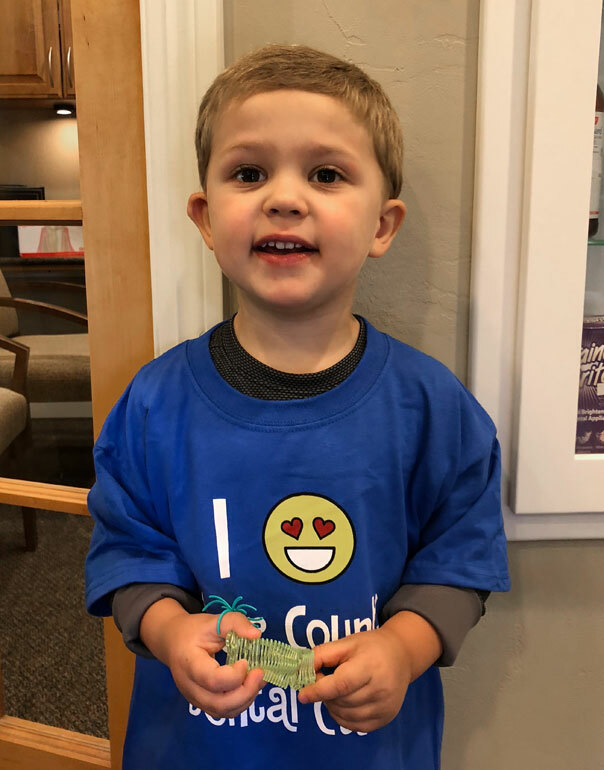 Few enjoy a visit to the dentist, but the reward of a t-shirt gives the positive reinforcement to make the next visit that much more enjoyable. Camden is our latest stuffed animal winner. He is pictured with his new teddy bear. 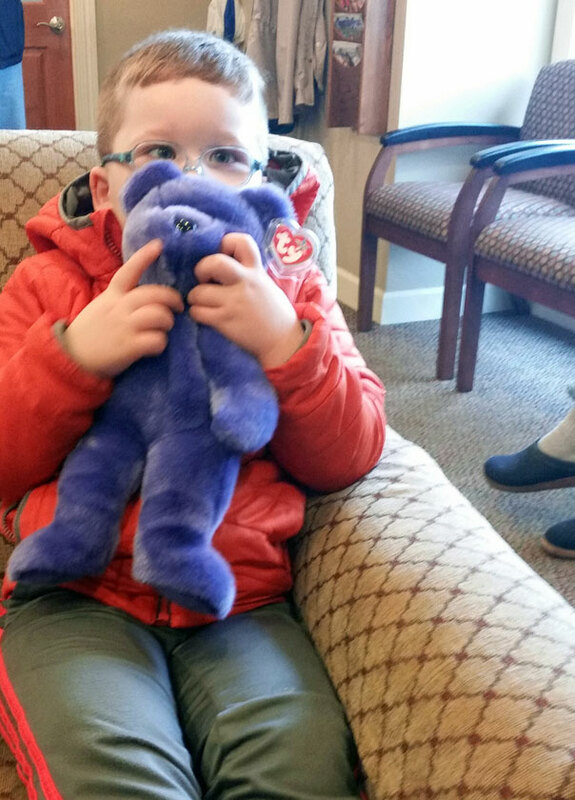 Kids – enter for your chance to win a stuffed animal at your next office visit. It’s a great reason to look forward to making a trip to the dentist. Congratulations to Sam, our most recent coloring contest winner. What a delightful array of colors for these summer blooms! 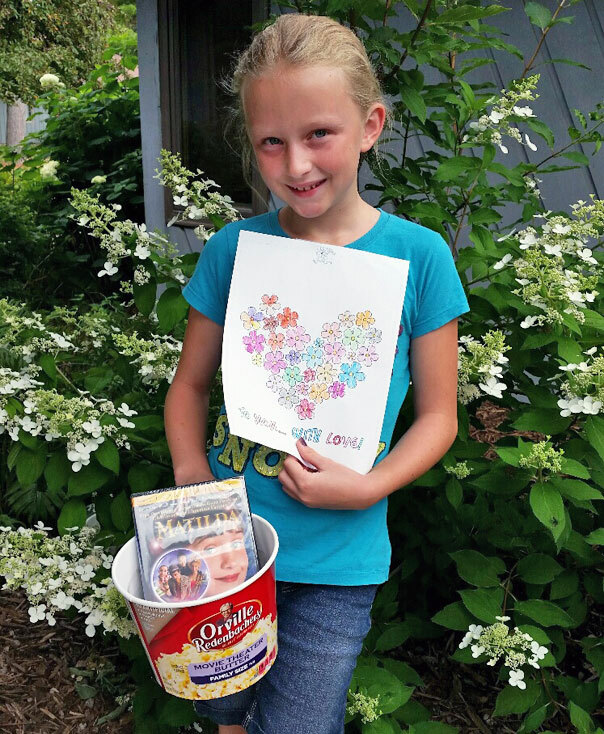 Sam won a DVD of Matilda and a bucket of popcorn to accompany her film. Kids don’t forget to enter our coloring contest during your office visit for your chance to win. 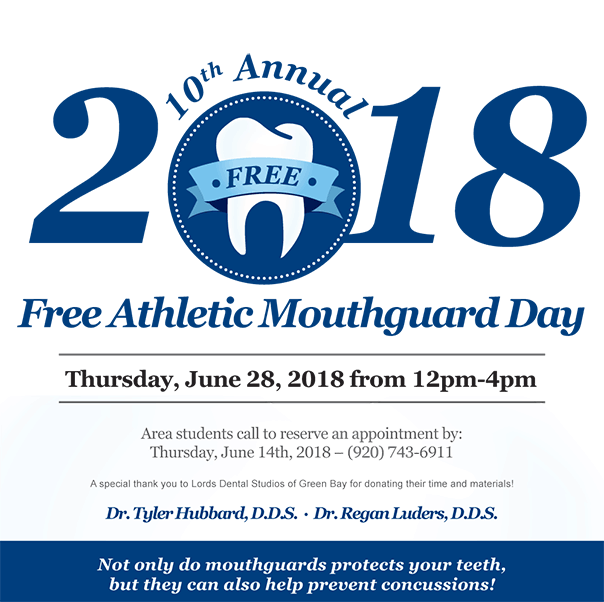 The 10th annual Free Athletic Mouthguard Day took place last Thursday June 28, 2018. All area student athletes were invited to receive a free custom-fit, team color-coordinated mouthguard. A custom fit mouthguard provides superior protection from sports related dental injuries when compared to off the shelf mouthguard products. The first step when creating a custom mouthguard is to take an impression of the mouth. Next a technician creates the mold and the last step is to trim and smooth the edges. 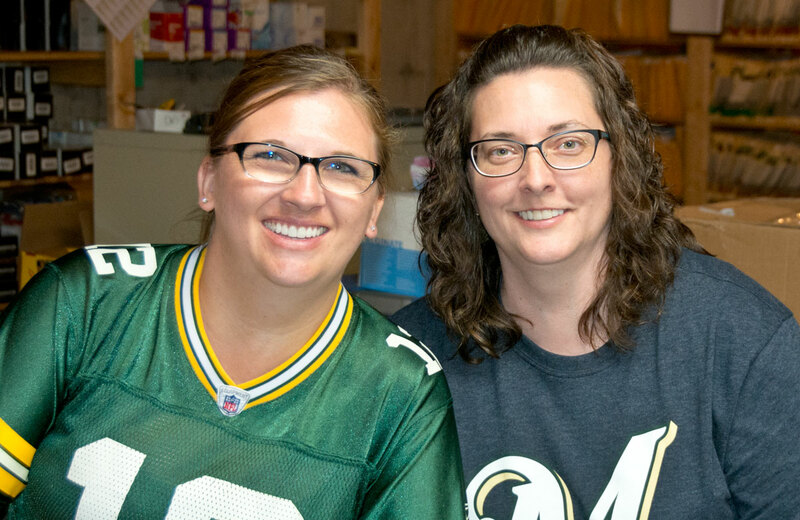 Volunteers and the entire Door County Dental Care staff are involved in the process helping to facilitate the community event at their offices in Sturgeon Bay. 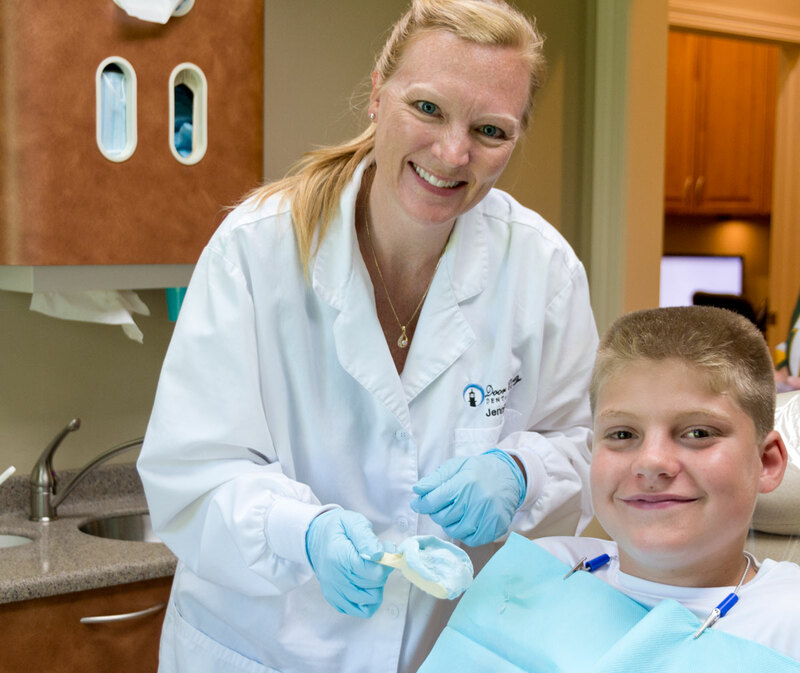 Dr. Hubbard and Dr. Luders recommend that a new, custom-fit mouthguard be crafted each year because as students grow, their bodies change and so does their mouth structure. For more information call (920) 743-6911. Door County Dental Care is located at 30 N 18th Ave # 2 in Sturgeon Bay. 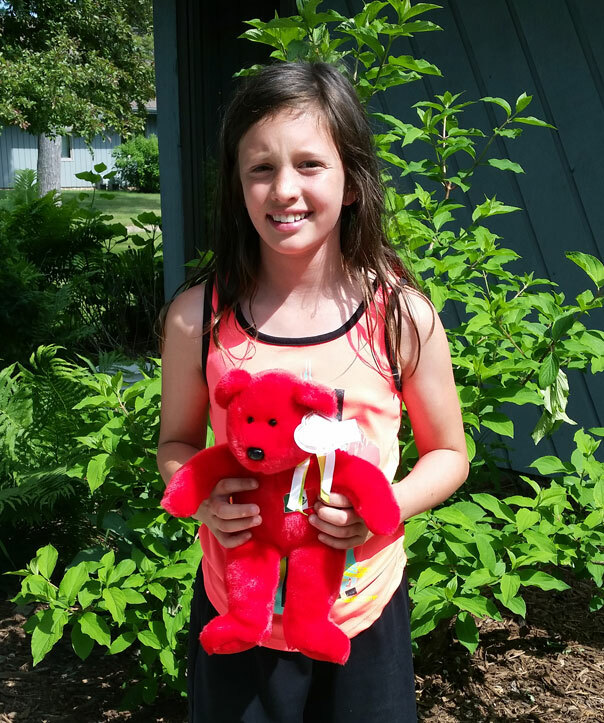 Congratulations to our May stuffed animal winner! This month’s prize was a very cute plush red teddy bear. Kids should remember to enter our stuffed animal contest when visiting our office. 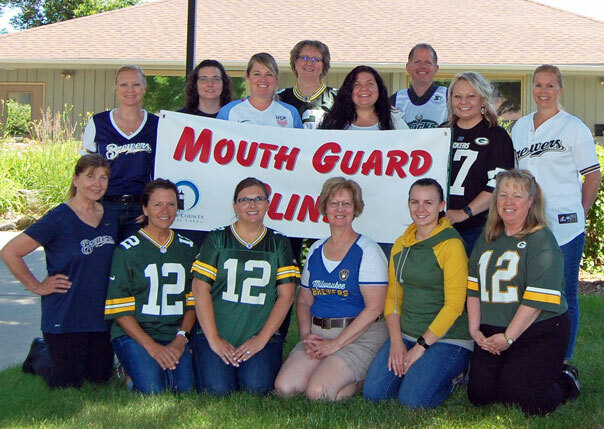 Spring is here and summer is just around the corner, which means it’s almost time for Door County Dental Care’s 10th Annual FREE Athletic Mouthguard Day. Mouthguards are an essential part of protective safety equipment when playing sports. 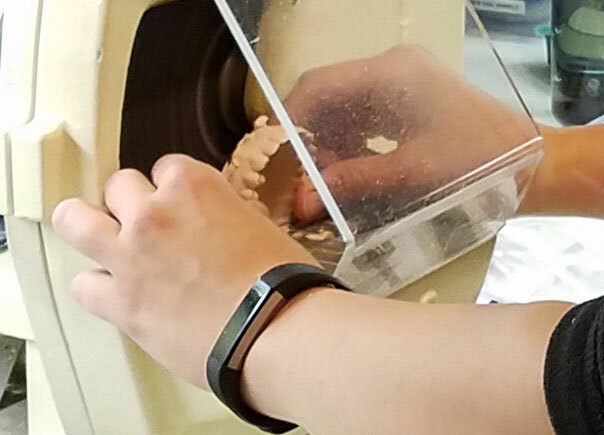 On Thursday June 28th from 12pm to 4pm the staff at Door County Dental Care will be providing FREE custom fit mouthguards to our local students who reserve their appointment (call 920.743.6911) by Thursday June 14th. Want to learn a little bit more about mouthgurads? Click here for the history of mouthguards. A “gum shield,” the predecessor to the modern mouthguard, was originally developed in the late 1800s by Woolf Krause, a British dentist that aimed to prevent debilitating lip lacerations sustained by boxers. Boxers would frequently utilize materials like cotton, tape, sponge, and wood to fashion their own, often inadequate, protection.1 Woolf’s son, Philip followed in his father’s footsteps and became a dentist. He was also an amateur boxer and modified his father’s original gum shield design and refashioned it out of vella rubber.2 One of the first references to mouthguards in the United States was in 1916 from a Chicago dentist Thomas Carlos who designed a mouthgarud for a United States olympian. A turning point came during a boxing match in 1927 between Mike McTigue and Jack Sharkey. The match came to a disappointing end in the twelfth round when the referee ended the fight due to severe cuts sustained by McTigue on his lips and eyes. This was ruled a technical knockout and the win went to McTigue’s opponent. After this fight moughguards would become status quo in the boxing world. According to the American Dental Association (ADA), “an athlete is 60 times more likely to suffer harm to the teeth when not wearing a mouthguard.” Treatment of a sports related dental injury can cost thousands of dollars, which is all the more reason to acquire and use a mouthguard. Custom fit mouthguards made by dentists are also widely considered to be the most protective type. 4 It is the ADA’s recommendation that people of all ages use a properly fitted mouthguard in any sporting or recreational activity that may pose a risk of injury. Every summer Door County Dental Care holds a Free Athletic Mouthguard event for area students. 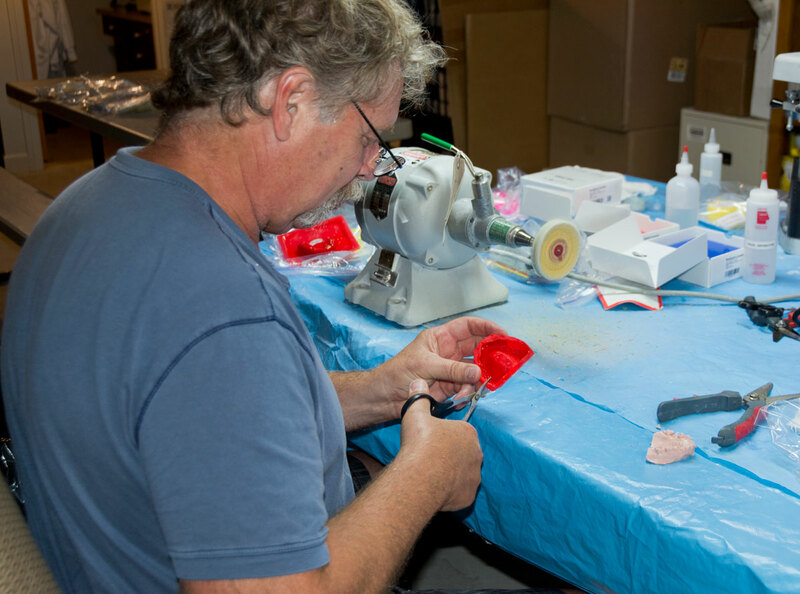 Mouthguards are custom molded and advance appointments are required. Mark your calendar and check our website for details in late May or early June.